Prior to the election, many traditional Jewish supporters of the Democratic Party were apprehensive of Barack Obama’s initially negative attitude to Israel and his troubling association with people like PLO ideologue Rashid Khalidi and the anti-Semitic Rev. Jeremiah Wright. However after aggressively repudiating his earlier policies, Obama convinced most Jews that he would never abandon the Jewish state. Alas, recent developments suggest otherwise. President Obama is adept at warming the cockles of the hearts of his Jewish constituents, many of whom seem as mesmerized by him as their forebears were by Franklin D Roosevelt. 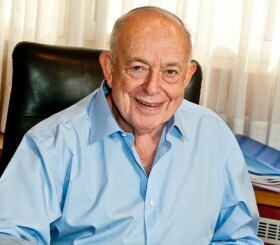 He repeatedly articulates his commitment to the welfare of Israel and admiration for American Jewry. Yet if one probes beneath the veneer of bonhomie and analyzes the substance of his policies, they reflect an unprecedented downturn in relations towards Israel with hints of worse to come. This was reaffirmed by Obama in the course of his recent meeting with Jewish leaders (which included representatives of extremist fringe groups like Peace Now and J Street but excluded those likely to be critical of his approach). In an extraordinary patronizing manner with his Jewish aides beaming at him he told Israelis to “engage in self reflection” and made it clear that he believed he had a better understanding of what is best for them than their democratically elected government. Alas, with the exception of Malcolm Hoenlein and Abe Foxman, it appears that the majority of the others endorsed his position or remained silent. Yet only a few days earlier even a passionate Democrat like Alan Dershowitz had expressed concern “that the coming changes in the Obama administration’s policies could weaken the security of the Jewish state”. THIS COLUMN is a response to American Jews devoted to Israel who remain under the charismatic spell of their president and challenged me to demonstrate how his policies are harming Israel. President Obama’s keynote Cairo address included effusive praise for Islam, highlighted Western shortcomings but omitted mention of global jihad and Islamic fundamentalism. It also legitimized the Arab narrative including its malicious and false historical analogies. By alleging that the State of Israel was a by-product of the Holocaust, the president of the United States denied 3,500 years of Jewish history and the central role of Jerusalem in Judaism. He endorsed the Arafat mantra that Israel had been inflicted upon the Arabs by the Europeans to compensate for the Holocaust, even hinting at equivalence between Jewish and Arab suffering. Obama ignored the rejectionism, ongoing wars and waves of Arab terror directed against the Jewish state since the day of its creation. He also compared the Palestinians to the US civil rights movement. When the president of the world’s greatest superpower provides an imprimatur for such a false narrative it represents a major breakthrough for those seeking to delegitimize Israel. Obama’s Cairo address should be viewed as an extension of a calculated policy designed to appease the Arab world by playing hardball with Israel. 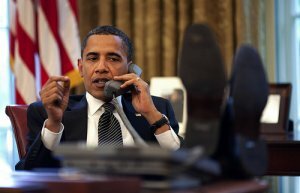 Obama’s response to the brutal Iranian regime’s thuggish clampdown on its own people was inordinately restrained. He bowed and scraped to the Saudis, unconditionally renewed diplomatic relations with the Syrians and failed to respond to the latest brazen North Korean missile launches. His “engagement” and benign relationship with corrupt and despotic Arab regimes contrast starkly with the tough diktats conveyed to Israel. The confrontation with Israel goes far beyond the vexed settlement issue which was wrongly linked with curbing Iran’s nuclear ambitions and has been exaggerated totally out of proportion. 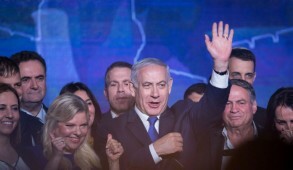 Israel endorsed the road map and Prime Minister Binyamin Netanyahu unequivocally undertook to freeze settlement expansion in areas other than within the settlement blocs which the Bush Administration had implicitly agreed should remain under Israeli sovereignty. Even in these areas Netanyahu undertook to limit growth to “enabling normal life.” But either disregarding or cynically abrogating understandings by the former administration, Obama’s demands exceeded even those of Arafat’s when the 1993 Oslo Accords were negotiated. The reality is that Arab concerns are not related to settlements or boundaries. Both Arafat and Mahmoud Abbas rejected offers to return virtually all territories Israel gained in the 1967 war – a war initiated by the Arabs to destroy the Jewish state. “The gaps were too wide” said Abbas, after Olmert offered him the equivalent of all territories beyond the Green Line, including joint control of the Temple Mount. 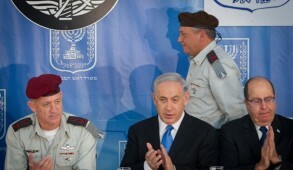 They adamantly demand the right of return for Arab refugees, which would effectively bring an end to the Jewish state. Clearly, the overriding objective for the PA, no less than Hamas, remains, not two states but two stages leading to the demise of the Jewish state. In recent weeks there was a spate of Fatah statements on official PA-controlled media brazenly describing the negotiations as a vehicle to destroy Israel. “Peace is a means not a goal. Our goal is all Palestine,” said Fatah activist Kifah Radaydeh on PA TV and also affirmed that “armed struggle” is still on the cards. If Obama was genuinely even-handed, he would urge the “moderate” Palestinians to recognize Israel as a Jewish state. He would make it clear that the US would never support the repatriation of the descendents of the Arab refugees to Israel. Obama would call on Abbas to stop sanctifying martyrs and naming streets, sports teams and other projects (some of which are sponsored by the US) after Palestinian suicide killers and murderers and would monitor anti-Semitic incitement in PA media, mosques, schools and kindergartens. And most importantly, before demanding that Israel remove barriers and downgrade security in Judea and Samaria, the US would insist that the PA curb its military wings and cease all acts of terror. But as of now, Obama’s policy can be summarized as “Israelis should give and Palestinians should take.” It amounts to appeasing the Arabs, humiliating Israel and in the process, undermining the security of the Jewish state. ISRAEL IS not a superpower and needs to retain the support of the United States, in the absence of which the United Nations, Europeans and the entire international community would gang up against the Jewish state. It is no coincidence that Javier Solana, the retiring EU foreign policy chief, has urged the UN to determine the final borders, the status of Jerusalem and resolution of the refugee problem and impose their solution. That the British government has just announced what amounts to a partial arms boycott against Israel is another example. Netanyahu is doing his utmost to achieve a compromise and has already offered to totally freeze all settlement activity beyond Jerusalem and the major settlement blocs, which the vast majority of Israelis agree must be retained. But if the Americans remain bloody-minded and refuse to compromise, Netanyahu will stand firm on this issue and will be overwhelmingly supported by the people who are outraged by the double standards applied against them. 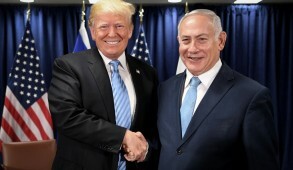 In the meanwhile, the public reprimands and humiliations already underway are eroding the US-Israel relationship and impacting on American public support for Israel, which polls indicate is plummeting. American Jews who voted overwhelmingly to elect Obama should not remain silent. They are entitled to press him to adhere to his commitment and treat the Jewish state in an even-handed manner. Together with other friends of Israel they should discourage their president from offering Israel as a sacrificial lamb on the altar of Arab appeasement. 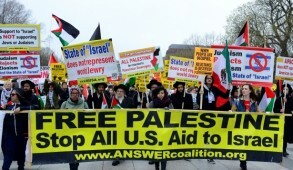 In urging Obama not to abandon Israel, they would also be promoting the US national interest. History cannot point to a single instance in which appeasement of jihadists or tyrants has ever borne fruit.